What’s on my mind at the moment? Glitter. Yes, Rebecca, why, when I can hear the anguished cries of my beloved daughter in the next room with my husband calming her, would glitter be on my mind? You see, this month alone I’ve had 4 separate stays in the hospital due to a bulging disc in my back and the complications that have come about from bits and pieces related to this chronic condition I must suffer for life with. Surely not! I hear you cry! Modern technology! Modern medicine! Modern stuff, anything… Nope. Doesn’t work that way. Just last week I was told by this State’s most super, of all super doctors who are super at this orthopaedic kind of thing, that I’ll always have ‘episodes’ where my back goes ‘out’. I’ll always need super strong drugs and super awesome doctors to help me during said ‘episodes’ and even super rehab people to build me up again and, of course, rely on my super trusty bloody walking stick AT THE AGE OF 42. As I type this my husband is still comforting our daughter who it seems is probably teething again. And what’s on my mind? My daughter? 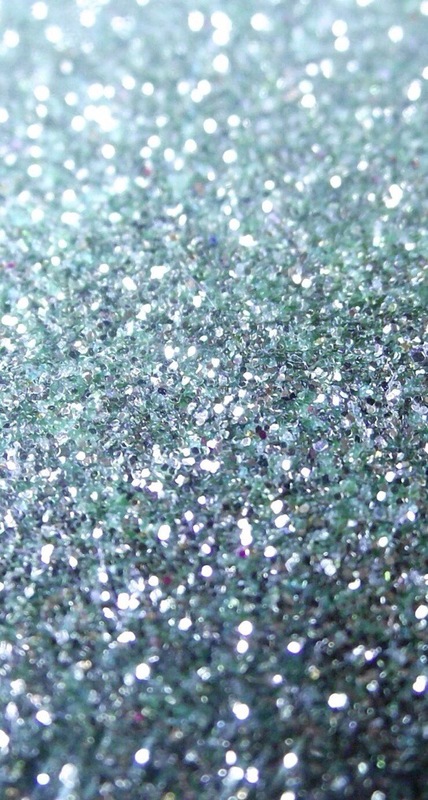 Nope – that is too painful to think about so I’m doing my best to move over to glitter at the moment. Because I love it. It’s pretty. It makes me happy. Honestly it would be so easy to just let go and stop fighting to keep it together, because life is really rather awful for me, and our family, in many ways at the moment. You see, Edie my daughter, who will be one in a few days won’t come near me if she has a choice. If she’s given to me she struggles to get away and if she’s got to stay with me for a few minutes she’ll scream the house down before she realises she’s stuck and better make the most of an unfortunate situation. Why has this happened and why on earth to me? A mother who a few short weeks ago was the centre of my daughters world? You see all of the ‘wonderful’, pain relieving medicines I’ve been given to get me moving, need additional medicines to cancel out the rather bad side effects of the ‘wonderful’ medicines; but in addition to the ‘wonderful’ drugs and their additional ‘wonderful’ helpers I still need to take daily doses of ‘restricted’ medicines that give me relief from what is called ‘breakthrough’ pain. Well it wasn’t all that bad until I came home from my first hospital stay of 5 days; where, by the way, I found myself a Grandma – hooray (I’ll save that story for another post!). I’ve never been away from Edie for that long before, and Mr Jones brought her and Dexter in to visit me daily. But when I got home she was not particularly thrilled to be around me, which I took as just her being a little snippity at my ‘holiday’ away from her, the centre of my universe! Nope. The little narc knew I was on ‘drugs’! She could sense it! It seems that she knew I was on some pretty strong stuff and as a primal protective behaviour decided I wasn’t up to the job of Mama and so Daddy better gear up pretty quickly because he had become her number choice of parent! Fair call… In fact, I felt pretty proud that she had such strong instincts that could protect her. But, 4 weeks and another 3 hospital stays down the track, I now need to keep something pretty positive in my mind before I go to bed these days… Hence the glitter. It makes me happy – don’t judge. Thanks so very much Rach – yep, it’s been horrible, but what’s going on with you? Go thru FB chat and let me know what I can do to help.